Behavioral and emotional problems in young children may be the result of sleep disordered breathing (SDB) problems that begin as early as infancy. In a large population-based study, Karen Bonuck, Ph.D., of Albert Einstein College of Medicine, and colleagues assessed parents' reports of children's snoring, mouth breathing, and apnea beginning at age 6 months and then periodically until age 69 months, as well as parents' responses to the Strength and Difficulties Questionnaire when the child was 4 and 7 years old. In a finding with screening and treatment implications, they discovered that at age 4, the children with SDB had 40 percent more behavioral difficulties than their peers, and at age 7 had 60 percent more behavioral problems, which included hyperactivity and problems with conduct and peer interactions. The researchers also found a strong link between SDB and emotional problems. Even when the sleep problems peaked at 18 months and then resolved, the risk of behavioral problems at age 7 was elevated, indicating the crucial nature of intervening early when early childhood sleep problems are identified. 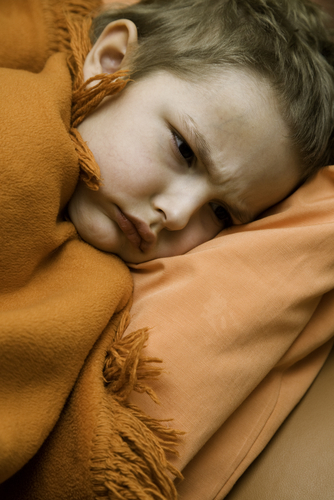 Read about treatment of childhood sleep disorders in Psychiatric News.